I’ve never been one who obsessed over my figure, but post baby I’m feeling a bit distressed. I own 26 pairs of jeans (some were purchased back in high school and I never part with good jeans. Don’t judge) and none of them fit. Not one single pair. I’m not cool with that, so I need to do something about it. I know I may never get back into them, but I am motivated to TRY. That’s where Project 10 comes in. 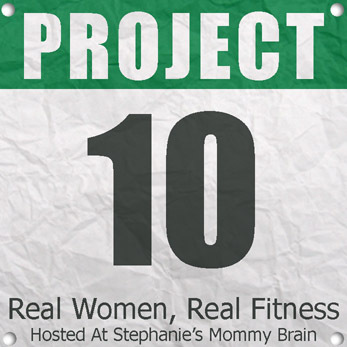 I was invited by Stephanie’s Mommy Brain to join her Project 10 program, as a way to get fit, healthy and happy. I’m doing this with a fabulous bunch of other Rhode Island bloggers. : Learning to Juggle, My Wrinkle in Time, Soxy’s Diamond, The New Modern Momma,Blush Mamas, Baby Makes Four, and Filling Our Bucket. We each have different goals, and different ways of acheiving those goals. But we are all supporting each other. 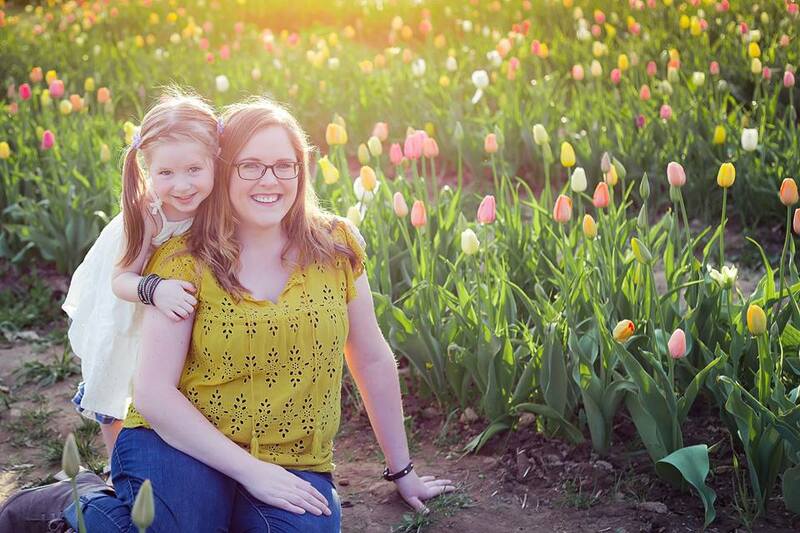 We also have the amazing opportunity to work with Running and Cupcakes; a personal trainer! My goals are not weight related. I don’t have any set number of pounds to lose. I lost all the baby weight and my clothes still don’t fit so my goal is to get fit, feel good and look good in my jeans again! My Plan is to eat healthier. I will be tracking my calories as well as my fat, sodium and protein intake using My Fitness Pal (I’m TriSarahtops82—friend me and keep me in check!) Its tough to prepare meals with a newborn. I usually just grab something easy, like a granola bar, or a hostess cupcake (or 12) But I’m going to make an effort to have healthier foods that are easy to eat with one hand while feeding a baby. I will not be eliminating anything from my diet. Personally, I don’t think diets work. I’m not going to say “No cupcakes or soda” Because I WILL fail at that and then I WILL feel guilty then I WILL get discouraged and then I WILL quit. It has happened before and it would happen again if I deprived myself of things I love (like cupcakes and butter) This is the real world, and sometimes it’s ok to give in to temptation. That said….everything in moderation. I wont be buying soda. I wont have twinkies in the house. If I bake cookies I wont eat the entire batch for lunch. But I might have a Dr. Pepper at a picnic and I probably will have a Triple Chocolate Meltdown from Applebees every now and then because, dear god, it’s amazing! On the fitness side I will be doing excersizes that I can do WITH Avery. Since she rarely lets me put her down during the day I need to make her a part of my workout. I’ll post photos of different way to include a baby in your fitness routine. I will also be walking three miles at least three days a week. I’m not going crazy here. This needs to be a lifestyle change, and if the change is too drastic it isn’t going to stick. 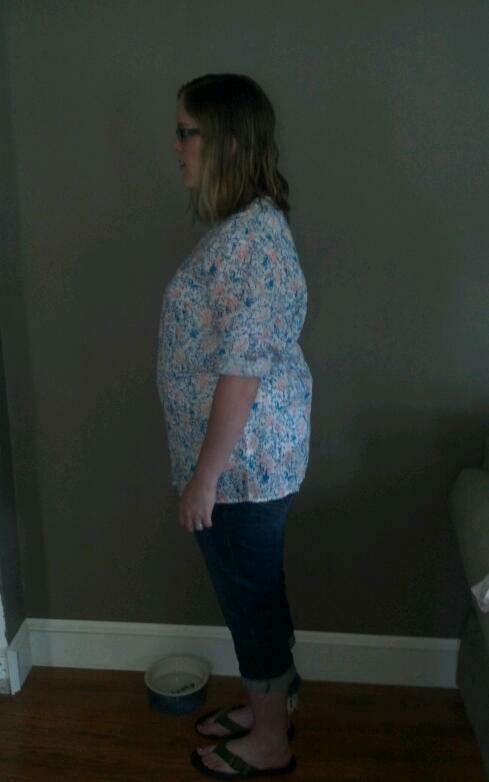 Every Wednesday I will post a “check-in” and update you all on my progress. Definitely check out the other bloggers who are embarking on this journey. Perhaps one of their plans will resonate with you! 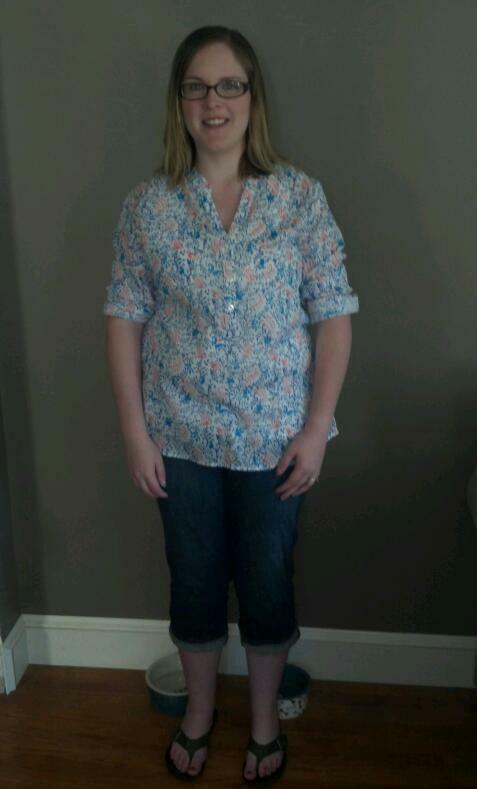 I’m posting my “Before” pictures here…..Hopefully by the end of the ten weeks I will recognize and love the body I see in the mirror! This entry was posted in Project 10 and tagged baby, fitness, health, project 10, weight loss, workout. you are a beauty- no matter what!!! Great intro post! Can’t wait to see your After photos!! I think you should also join the Backside ChHallenge and really see how us RI bloggers can shape up. Success! Yeah I feel like I new to get back into shape. I will devote to no more elevators, there are stairs and I will use them. Starting Monday.